Manchester United target Radja Nainggolan is set to stay at Serie A side Roma for the coming season according to Roma’s director of football Monchi, as reported by Sky Sports. 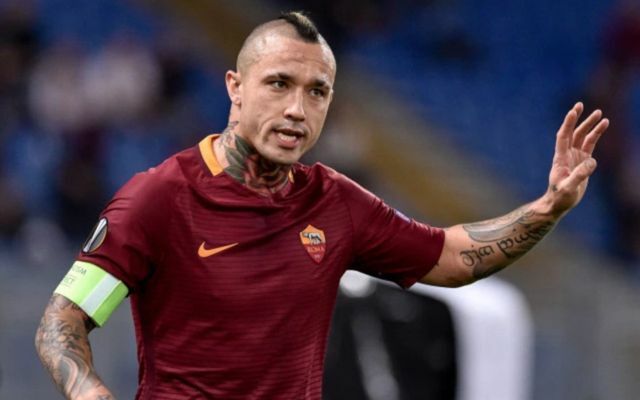 Nainggolan, who was a reported target for Jose Mourinho’s side according to Sky Sports, looked set for a move away from the Serie A runners-up, but any chance of the 29-year-old leaving look set to be long gone, report Sky Sports. Nainggollan impressed many with his performances in Serie A last season, as the midfielder managed to bag himself 11 goals and four assists in 37 league appearances as Roma finished runners-up to champions Juventus.